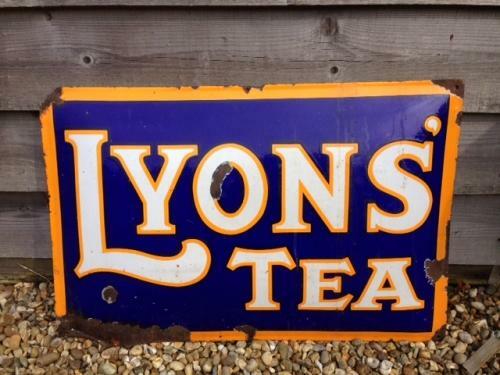 Mid size antique LYONS enamel sign. The sign is convex in that it domes out in the middle making it catch the light more. Overall look is excellent. Please study pics for overall condition. Ideal size for kitchen etc.